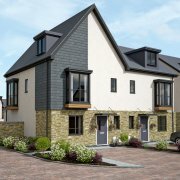 Cavanna Homes’ flagship 504K development in Plymouth is in its final phase with all homes expected to be sold by the year’s end. Five years after work first began at 504K, we are now in the final phase of the project and have just 10 homes left to sell; two three-bedroom properties and eight, four-bedroom townhouses. 504K is one of our largest current developments, comprising a 275-home collection of modern, energy-efficient, low maintenance and very stylish homes. 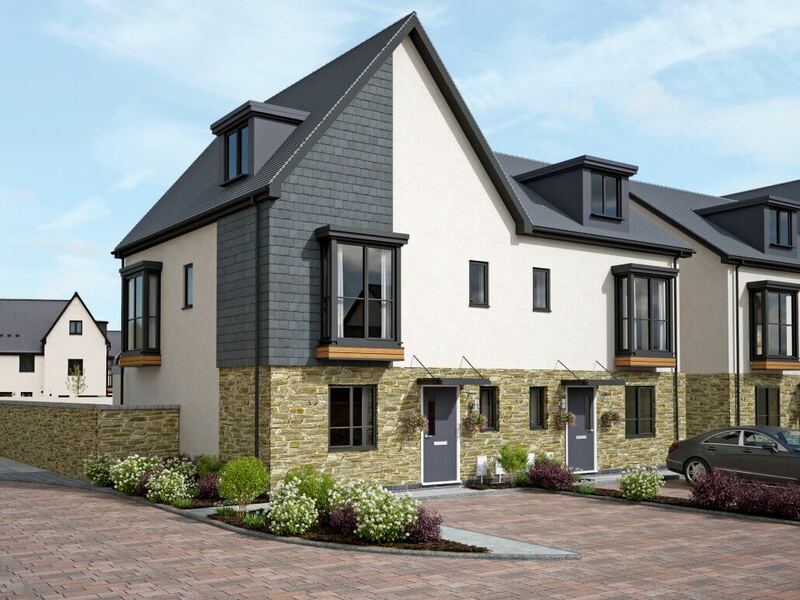 Our townhouses have been snapped-up by families and couples and those in previous phases have sold almost immediately after becoming available. Our remaining townhouses, which are arranged over three floors, come in two different styles: the Condor Special has four bedrooms, two of which are en suite, and also a large study room on the top floor with excellent views. The living room occupies the ground floor, with a kitchen diner and bedrooms on the first floor and more bedrooms on the top floor. The Condor Specials have an integral garage and two parking spaces. In the Yealm style properties, the entire top floor is dedicated to the master suite. A kitchen and a spacious lounge/dining area are arranged over the ground floor, while the other three bedrooms are on the middle floor. The Yealms have two parking spaces. Being located close to Derriford Hospital, the University of St Mark and St John and the Tamar Science Park, 504K has wide ranging appeal with our homebuyers regarding the development as an opportunity to upgrade or upscale. The homes have been sensitively designed in keeping with their location and there are various styles of properties to choose from. A stylish combination of finishes including slate and timber cladding have kept the aesthetic interesting while the overall appearance is clean, neat and tidy – a combination which has really appealed to our homebuyers. All homes benefit from PVC-u double glazed windows and a 10-year NHBC Buildmark Warranty. Depending on the stage of construction, early purchasers have the option to choose their kitchen units, worktops and bathroom wall tiles. All customers can request a six-month bus pass and local travel information as part of the 504K Travel Plan which is provided upon completion. Cavanna Homes’ head office is in Torquay and is a family-run firm which has been awarded the maximum five stars for customer satisfaction in the nationwide Home Builders Federation survey for six years in a row. The prestigious five stars mean that at least 90 per cent of new Cavanna homeowners would recommend the company to a friend. Our customers’ satisfaction is evident in the many comments we in the sales office have received from homebuyers who have been extremely happy with the ongoing support and aftercare they receive from us, which is something we are particularly proud to provide.